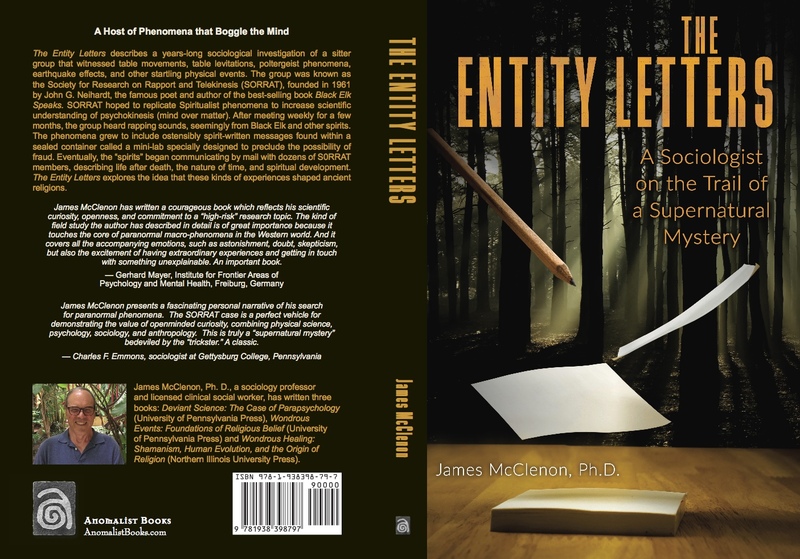 The Entity Letters describes a years-long sociological investigation of a sitter group that witnessed table movements, table levitations, poltergeist phenomena, earthquake effects, and other startling physical events. 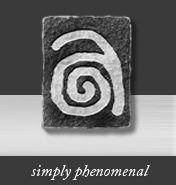 The group was known as the Society for Research on Rapport and Telekinesis (SORRAT), founded in 1961 by John G. Neihardt, the famous poet and author of the best-selling book Black Elk Speaks. SORRAT hoped to replicate Spiritualist phenomena to increase scientific understanding of psychokinesis (mind over matter). After meeting weekly for a few months, the group heard rapping sounds, seemingly from Black Elk and other spirits. The phenomena grew to include ostensibly spirit-written messages found within a sealed container called a mini-lab specially designed to preclude the possibility of fraud. Eventually, the “spirits” began communicating by mail with dozens of S0RRAT members, describing life after death, the nature of time, and spiritual development. 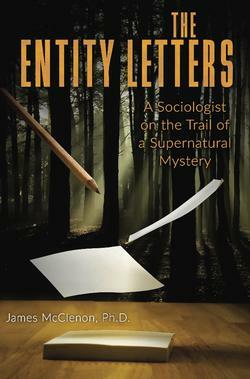 The Entity Letters explores the idea that these kinds of experiences shaped ancient religions. James McClenon, Ph. D., a sociology professor and licensed clinical social worker, has written three books: Deviant Science: The Case of Parapsychology (University of Pennsylvania Press), Wondrous Events: Foundations of Religious Belief (University of Pennsylvania Press) and Wondrous Healing: Shamanism, Human Evolution, and the Origin of Religion (Northern Illinois University Press).